And the science, too: The Pritzker Military Library and Lyric's latest are all about battle. When high culture takes up a cause, the benefits can be mutual: the cause gets glamorized, the art form gets social relevance, publicity blooms, and cash may even flow. Then the two usually go their separate ways. Last week, on the same day that Lyric Opera treated local veterans to a dress rehearsal of George Frideric Handel's 1745 concert opera, Hercules, the Pritzker Military Library hosted its first official program in its new digs at Michigan and Monroe. While director Peter Sellars spun Hercules into a searing meditation on post-traumatic stress, Neptune's Inferno author James Hornfischer told another veteran-studded audience that it was the navy, not just the marines, who earned bragging rights in the World War II offensive at Guadalcanal. Next season, Lyric moves on to The Tales of Hoffmann and Showboat, but the Pritzker will still be putting the spotlight on vets. Hercules is Handel's adaptation of a 2,500-year-old play by Sophocles, about what happens when the married hero returns from battle with a beautiful, captive princess in tow. In the original, jealousy, insanity, and a horrible death for Hercules ensue. Handel's version supplies a happy ending. 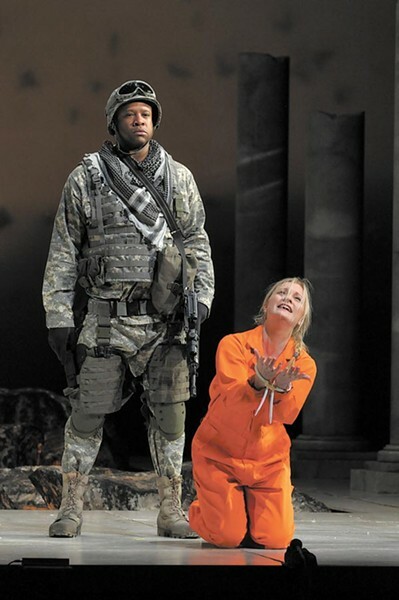 Addressing his audience before the rehearsal, Sellars suggested that the glacially paced, nearly three-and-a-half-hour production both mirrors the mind's obsessive tendency to return to whatever troubles it and "offers a lot of time to think about things" like PTSD. Elfin and engaging in a plaid shirt, matching beads, and his trademark electrified hair, Sellars—who could sell anything—explained that "getting emotions and pain out there so we can all share it is what this afternoon is all about." The rehearsal was followed by a panel discussion, cosponsored by the University of Chicago, that included veterans, authors, and vets who are authors. Instead of staying for that (it can be seen at hercules.uchicago.edu), I beat a path over to 104 S. Michigan to get a look at the military library and take in the first lecture there. The library was founded in 2003 by James N. Pritzker—number 308 on the Forbes 400-richest list last year—who enlisted in the U.S. Army in 1974, served three years, joined the ROTC while finishing college, then returned to active duty from 1979 to 1985. After that, he was a member of the Illinois National Guard, retiring as a lieutenant colonel in 2001. 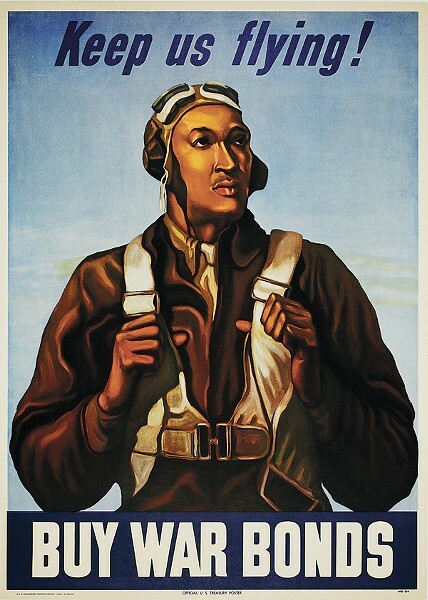 The library's mission is to honor citizen soldiers and their role in the defense of democracy. In an e-mailed response to questions, Pritzker said his interest in the military grew from his post-World War II American childhood and what he saw in Israel during the Yom Kippur War. "I came to have a great appreciation for a well-trained military capable of defending their country," he wrote. "Had it not been for the Israeli defense forces, I might not be here." Convinced that in military matters as in everything else, an informed citizenry is integral to a healthy democracy, Pritzker founded the nonprofit library as "a place for the thoughtful study of military affairs outside the government." His plan is that it will become financially self-sufficient over time. The library's holdings originated with Pritzker and his family's personal collection of 7,500 military books and artifacts, initially displayed in smaller, rented quarters at 610 N. Fairbanks. In 2006, Pritzker purchased the 16-story Monroe Building—one of the city's prime locations, with panoramic corner views of Millennium Park and the Modern Wing of the Art Institute. Erected in 1912, the building is one of a pair of historic Holabird and Roche skyscrapers at that intersection, the other being the University Club, 76 E. Monroe. Still under renovation, it also houses Pritzker's investment firm, Tawani Enterprises, and his charitable organization, the Tawani Foundation. The military library occupies 40,000 square feet on the second, third, and fourth floors, which have undergone a $12 million rehab by TVS Design, an Atlanta-based firm with an office in Chicago. The Pritzker currently has almost no street presence. Protected by multiple locked doors, constant video surveillance, and uniformed guards, it combines the comfort of a private club with the security of a bank vault. Thanks to a steady flow of donations, the library's collection has grown to about 35,000 books and 20,000 artifacts, including photographs, oral histories, and films. Some of this bounty is displayed in the public areas, which are accessible by stairs or elevator from the building's gothic lobby, currently in the process of being restored. (The library's top floor houses administrative offices.) There are, of course, computers, cubicles, and Wi-Fi. But most of this space—dominated by warm oak flooring and the knockout view—is devoted to old-fashioned library shelving stocked with honest-to-god books and periodicals, as well as inviting reading areas. The rehab included installation of a marble interior staircase, soundproofing that foils the rumbling of the nearby el, a broadcast studio, and a state-of-the-art, 110-seat, two-story lecture hall. The library produces a weekly show for WYCC TV as well as podcasts. Programming is also streamed live on its website. Exhibits are fairly compact. A series of glass cases houses artifacts from each branch of the military; the Medal of Honor Gallery is dominated by an 1898 Remember the Maine flag and features the actual Medal of Honor presented to Hershel "Woody" Williams for using a flame thrower to blaze a path through the enemy at Iwo Jima. Williams was one of the relatively few who didn't die earning that particular bit of metal and ribbon. The collection also includes thousands of photographs, some of which—like a portrait of Benjamin O. Davis Sr., the first African-American general—are on display along with some original paintings. 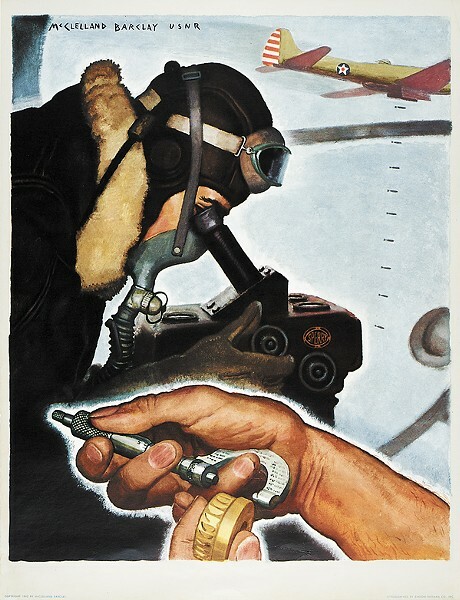 But the richest holdings on view now are the posters—especially those masterpieces that convinced the folks at home during World War II to "waste nothing," save gas by joining a "car club," and consider our wounded troops before asking for a day off work. They even addressed toddlers: "Little Americans do your bit," says one. "Eat oatmeal . . . save the wheat for our soldiers." You can stop in for a visit free this month. Beginning April 1, there'll be a $5 admission charge for nonmembers. Memberships cost $50 for students, $95 for educators, $125 and up for individuals, and $200 and up for families. Surprisingly, there's no free ride for active military—they pay the same rate as teachers. Online-only memberships are free and provide access to archival materials, including 7,000 photographs dating back as far as the Civil War and 1,500 downloadable posters. Care to comment? Find this column at chicagoreader.com.